Softer and more fruit-filled than a coffeecake, but with a higher percentage of buttery batter than a cobbler, buckles are harder to classify than they are to make. This one is tender, moist and filled with sweet summer berries. In a separate bowl, combine flour, salt, and baking powder, and whisk to combine. Add dry ingredients to egg mixture and mix until just combined. 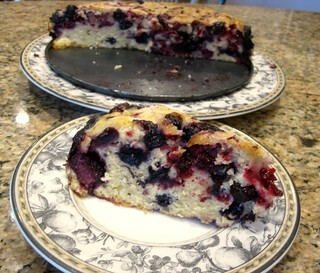 Allow cake to cool, then sprinkle with confectioners sugar if using.